The future of food marketing is uncertain. Unlimited media access, shifting thought leaders and constantly connected (and unfiltered) consumers have resulted in complex conversations about the food we eat. This means many tried-and-true marketing tactics no longer apply to food brands. It now requires new and creative ways to successfully bring products to market. Learn to navigate this new world. Join us for a panel discussion about the new rules of food marketing and learn how some successful products have been launched by both newer and seasoned food brands. Join our panel for cocktails and snacks as our speakers provide an overview of the new rules of food branding as well as some real world examples of their experiences launching new products. Ned Brown, Chief Creative Officer at Bader Rutter. Ned joined the agency in early 2018. Prior to joining Bader Rutter, he spent over 20 years shaping some of the world’s most iconic brands like Porsche, Adidas, Audi, Apple, and Dr. Martens, working at agencies in San Francisco, Minneapolis, Tampa and Milwaukee. Along the way he has worked in nearly every category, including food and beverage with such clients as Buffalo Wild Wings, Corona, Roundy’s Grocery, Orville Redenbacher, Publix, and Florida’s Natural orange juice. His work has been recognized both nationally and globally by the Effies, Cannes, One Show, Ogilvy Awards, Addys, Obies and Communication Arts. He brings his creative leadership and consumer mindset to all of Bader Rutter’s clients, including growing their food and beverage client roster. Janet Garetto, Partner, Nixon and Peabody & CFBN Secretary. Janet is a partner in the IP group and a co-leader of the firm’s Food, Beverage, and Agribusiness Industry team. She counsels clients on IP issues facing their brands, patent protection and litigation prevention issues. She helps companies from diverse industries, including food and beverage, pharmaceuticals and medical devices, to develop brand strategies and goals. This involves trademark procurement, trademark portfolio development and maintenance, addressing brand misuse issues and developing internal branding guidelines and best practices. She also assists clients with day-to-day issues that arise in connection with their trademark portfolios. Kristin Kroepfl, VP of Marketing & Sales Strategy, Kellogg. Kristin leads overall category and brand strategy for the Specialty Channels business. In addition, she is responsible for the development, implementation and evolution of the channel deployment and commercialization strategy. Kristin is a member of the U.S. Specialty Channels Leadership Team, Global Marketing Leadership Team, Global Snacks Operating Council and Global Breakfast Operating Council. Kristin brings a rich background of global leadership and food products expertise to Kellogg’s. She most recently served as Global Vice President of Sales and Marketing for private-equity backed Ruprecht Company, where she drove significant growth in revenue for the company. 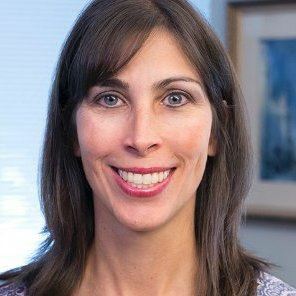 Prior to Ruprecht, Kristin was Vice President of Marketing and Innovation for Rupari Foods, a private label meat manufacturer, where she defined overall portfolio innovation and growth strategies and led cross-functional business unit responsibilities. Kristin’s deep food industry experience also includes several years in marketing leadership positions at Hillshire Brands/Tyson and PepsiCo. Michelle Lorge, Vice President of Marketing, Simple Mills. Simple Mills is a Chicago-based company at the forefront of a clean food movement that is shaping the next generation of natural foods. Winner of the 2017 Chicago Innovation Awards, Simple Mills was founded in 2013 to provide a cleaner alternative to the natural baking mixes then on the market. Today, despite a crowded market space with long-established competitors, Simple Mills ranks as the #1 largest natural baking mix brand and the #2 largest natural cracker brand, by dollar volume. At Simple Mills, Michelle has been responsible for leading the company’s marketing organization and spearheading the company’s product introductions since 2015. Prior to joining Simple Mills, she spent 12 years with Kraft Foods in Brand Management & Innovation spanning products such as A.1. Steak Sauce, Grey Poupon, Cool Whip, Philadelphia, Kraft MilkBite and Cracker Barrel cheese. She holds an MBA from Northwestern University’s Kellogg School of Management, a BA from Michigan State University and a Health Coaching certification from the Institute for Integrative Nutrition.